Today's feature shop is run by an artisan that I spent a great deal of time with online. 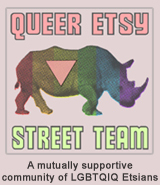 We are both members of the Etsy Bloggers Team as well as mentoring members of the Boosting Etsy Shops Team on Etsy. Both of these teams are geared towards helping promote others and helping other sellers "learn the ropes" of selling online. This is especially true for the Boosting Etsy Shops Team, where Karen works tirelessly to keep everything running smoothly both behind the scenes as well as up front and center for everyone involved. Karen also runs her own shop on Etsy as well. 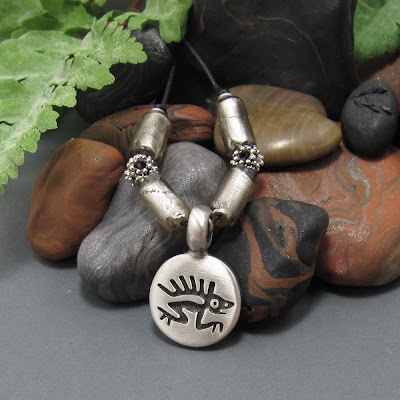 MysticWynd on Etsy is filled with beautiful jewelry not to mention really impressive displays -of- that jewelry through her product photos as well. In fact, over the upcoming spring season, I hope to take a few lessons from her creatively inspired displays and try to incorporate them into my own picture taking endeavors. Instead of being organized in the traditional (and often boring) sections of "necklaces, bracelets, earrings, etc", Karen has set up her shop in a fresh and inspiring collections of sections such as "Angels, Fairies and Fantasy" and "Floral, Forest and Butterflies" as well as many other themes. This shop is a terrific place to stop this spring to refresh your jewelry selection with some new pieces or just a fun place to brows and pick up a couple new favorites to add to your collection. YOU CAN CLICK ON THE PICTURE ABOVE TO VISIT MYSTICWYND'S ON ETSY AND TAKE A LOOK AROUND OR, IF YOU PREFER, YOU CAN CLICK RIGHT HERE! You can also take a look and read over at Karen's Mystic Wynd blog where they often feature new crafting ideas, projects, reviews and other interesting tidbits.... Or you can stop by and visit her on Facebook or Twitter! Aww... Thank you Leal - maybe if we keep trading our marketing and selling secrets, we'll manage to hit that magic combination! I appreciate the feature and the kind words from a shop that I've always admired and looked up to - not to mention that you and Zoie are both such great team mates! Thank you so much!